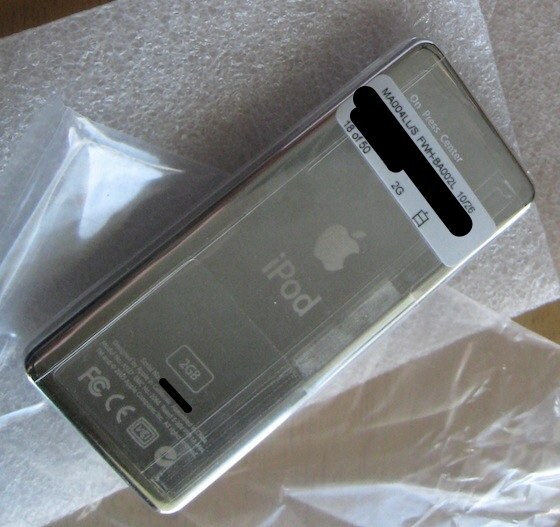 Late late week, Apple announced a worldwide replacement program for owners of the first-generation iPod nano. The program was instituted due to battery issues that could cause the devices to overheat and in extreme cases catch fire. While Apple officially notes that it may take up to six weeks for customers to receive their replacement devices, some users are reporting that their replacements have already arrived. And while some had hoped that Apple might offer newer-generation iPod nano models given a potential shortage of units that officially went out of production nearly five years ago, the replacement units are indeed still first-generation iPod nanos. According to one customer who received a replacement, the new unit is an exact duplicate of his original iPod nano in terms of color and capacity, although it feels brand-new without the wear and tear of five or six years' worth of use. Apple is almost certainly utilizing refurbished units for the replacements, but Apple's standard refurbishment program includes the use of brand-new batteries and outer shells to make the devices appear and function as new. I wanted to pass along some info about the iPod Nano exchange program Apple started over the weekend. I just received the replacement and it is an exact replacement. No upgrade. Same capacity and everything. The only upside is that it is "new" (probably refurbished), so it's clean in comparison to my old one. 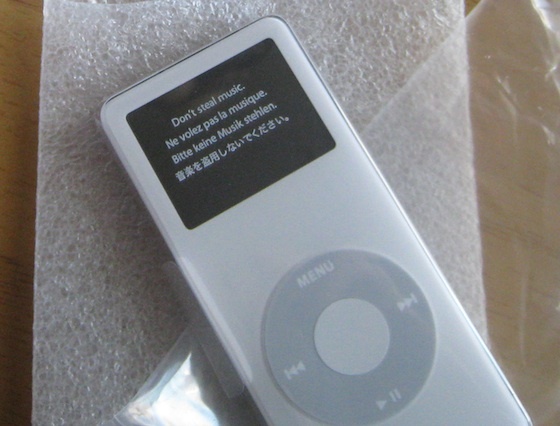 The replacement iPod nano units come with a 90-day warranty, offering users a chance to make sure that they are operating properly upon receipt. As evidenced by the units coming through already, they should be essentially identical to customers' original devices, although Apple notes that any personalization on the original devices will not be included on the replacements. Yeah it's a total shame that they're replacing potentially hazardous batteries with new devices that are out of warranty. No upside to that at all. Seriously? The only upside is that Apple is providing you with a new device that won't explode and they are giving you a cleaner newer one with the same capacity. If I were getting one, I would put it away, never touch it, and then sell it as a collector's item ten, fifteen years from now. Only problem is, replacement products don't usually come in the original box. Collectors will want the exploding ones. Don't use it. Put it in a museum. anyone else find the "dont steal music" weird? Not at all. People steal music and they shouldn't. That headline makes it sound like the replacements themselves are at risk of over-heating. "Replacements Now Arriving for First-Gen iPod Nano Models at Risk of Overheating"
That's been on every iPod since the first one. If I had a first gen Nano I would want it replaced with a brand new first gen instead of the current gen. I'm sure for many it was their first iPod. Perhaps they're asking insead of telling you not to steal music. Replacements arriving? I didn't even get my box to ship it back yet.